Why is the Weyl quantization the best? 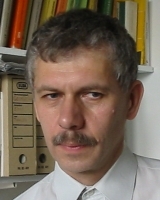 Cochairman of the weekly seminar "Duality Theory", the main colloquium of Dep. Math. Meth. in Phys. Studencki Projekt Zespołowy "Reprezentacje Grupy SL(2,R)"
INTRODUCTION TO QUANTIZATION, Winter semester 2016-17. ANALIZA FUNKCJONALNA I Semestr letni 2016/17. MATHEMATICAL TOPICS IN MANY BODY QUANTUM PHYSICS Semestr zimowy 2018/19. ANALIZA ZESPOLONA I FUNKCJE SPECJALNE II Semestr letni 2016-17.